Global sales of GT have exceeded 70 million units. Yes, guys, the site is down. Working on it. 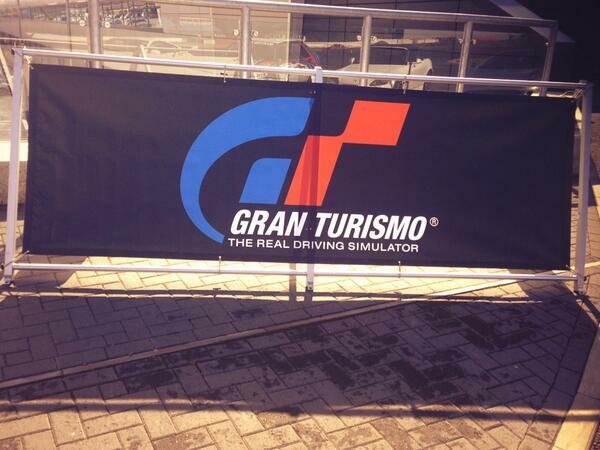 We're celebrating #15yearsofGT today at @SilverstoneUK. The winner of GT Academy has just been announced, he will be going to the Le Mans 24 hour with Nissan. New prize will be bigger, winners get a full racing season in the GTR GT3. "I'd like to announce today that we are developing GT 6 for the holiday season this year on the PlayStation 3"
"The game engine will be renewed for GT6, we'll be cleaning it up, making it smoother for the future"
suspension companies have helped significantly in dev of new physics model. totally new physics engine, new suspension and tyre model. Now being shown a comparison of GT5 cars vs GT6 cars on screen. GT6 cars will look much more true to life. We'll have 200 more cars than GT5, with 1200 available at release" -- Choice, choices, choices! More cars will be released after launch too. new user interface, focuses on quick response and short load times. You will be able to organise and form your own racing communities. You can also organise your own championships"
totally new physics engine, new suspension and tyre model. new aero model. tech partnership with yokohama and kw auto. That brings the end of the event.